This past week I finally received the pair of Front Row Shop pleather basketball shorts that I’ve been on the waitlist for all month. Ever since they gave me a pair of similarly constructed pleather sweatpants, I’ve fallen into a very serious romance with the brand – the quality is surprisingly high for such affordable garments. I’m also always looking for brands that carry the best vegan leather because I feel like a fraud when I sometimes refuse to eat meat but blanket myself in large pieces of dead cow skin. I say sometimes because my disgust for eating an innocent, defenceless creature is much higher some days than others. Is that weird? I went on a trip to the Philippines last year and ate pork at a Boracay restaurant where cute, tiny piglets occasionally escaped into the dining room. This restaurant changed my eating habits forever. I’m rambling. Anyway, these shorts are b-e-a-u-t-i-f-u-l. They make me feel like Rihanna or A$AP or a cholo. GUNS IN DA AIR Y’ALLZ!!! 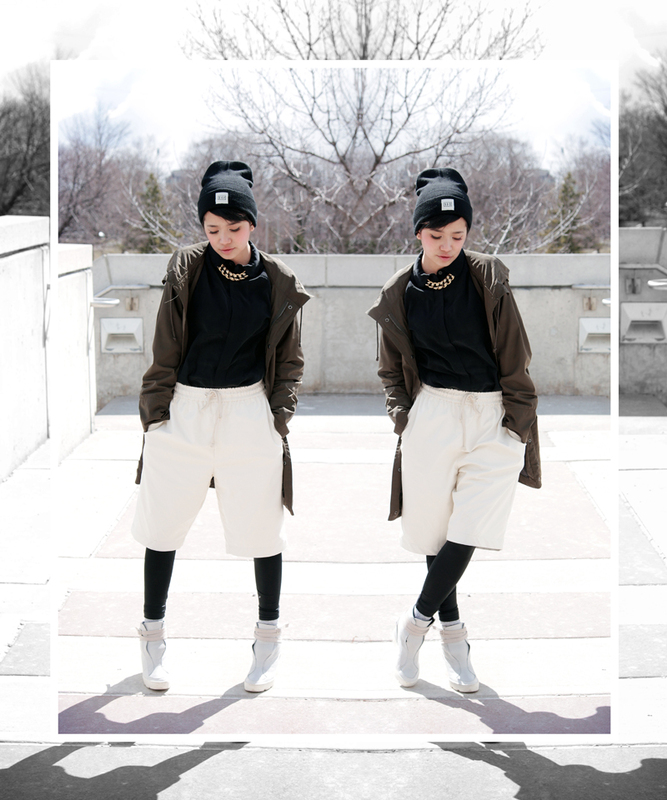 By Bianca Venerayan on April 5, 2013 at 11:13 am | Posted in outfits and tagged blog, canada, everlane, fashion, front row shop, gap, messeca, nthng, style, toronto, vintage.